MYPAC (MES York Planning Alumni Committee) was formed in 2004 by several York Alumni, students, and faculty members. Since its inception, MYPAC has evolved into one of York’s most active Alumni committees. 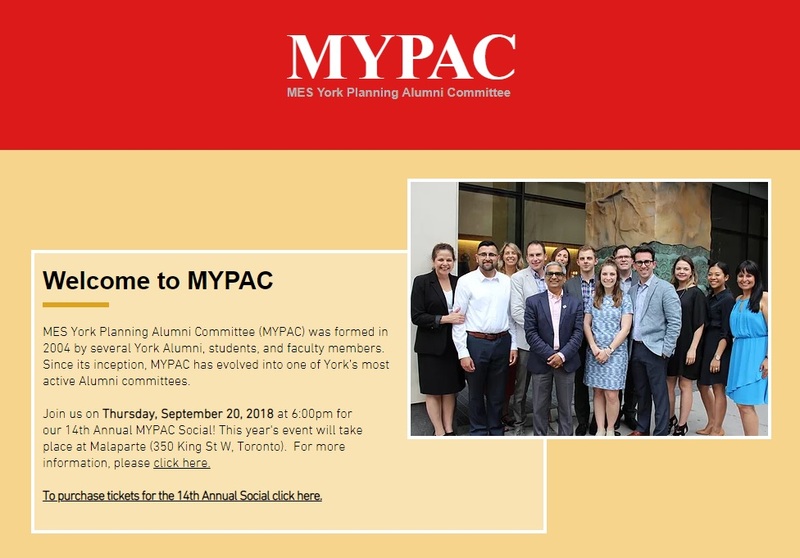 Join us on Thursday, September 20, 2018 for our 14th Annual MYPAC Social! This year's event will take place at Malaparte. For more information, please click here.